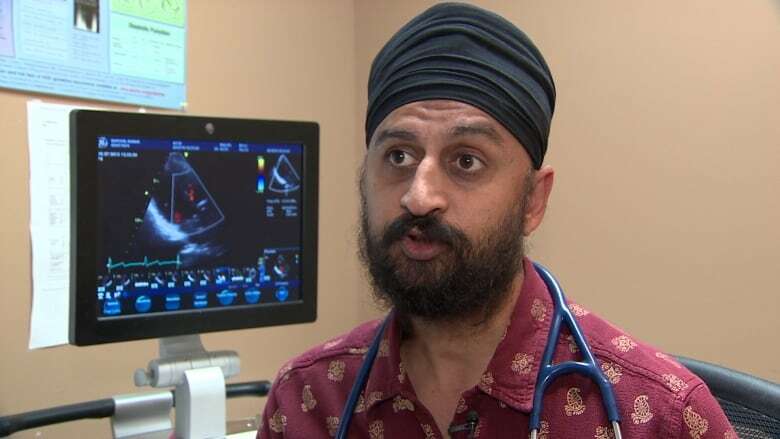 As the mercury soars and Stampede kicks off, a Calgary cardiologist is warning people to watch out for their heart health. Cardiologist Dr. Anmol Kapoor says the heat can be particularly hard on people who already have heart conditions. And when you add the Stampede into the equation, it can be dangerous for some. "As a cardiologist, I'm concerned for my patients. I always advise them, don't go for the food choices, take your food from home, keep yourself well hydrated, have enough water with you and buy water there, not buy sugary drinks," he said. "And if you want to enjoy a beer here and there, do it in moderation, not the extreme side of it." Kapoor says people with heart conditions are at increased risk of heat stroke — and in some cases heart attack. He says during extreme heat the heart needs to pump faster to keep the body cool. "But heart patients may not be able to adjust to that," he said. Through their organization the DIL Walk Foundation, Kapoor and his wife Raman are launching a social media campaign to raise awareness about how to stay safe in the heat. The Kapoors are reminding people to pick cooler times of the day to be active, to dress appropriately and to stay hydrated. "I had open heart surgery years ago and I need to make sure to take those precautions so I'm not putting extra load and extra stress on my heart," she said. Calgary Stampede 2015: Is it a high-stakes political rodeo?